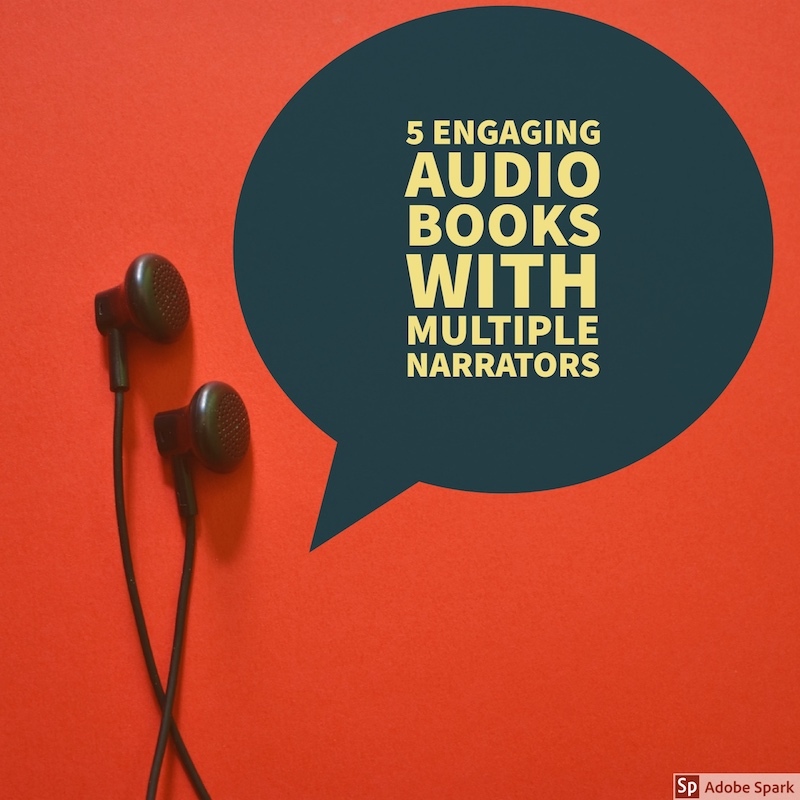 The narrator can make or break an audio book.I’ve listened to books for 5-10 minutes and quit, simply because I couldn’t handle the thought of listening to this voice for many hours! One of the biggest places narrators go wrong is when speaking a voice of the opposite gender. A terrible male narrator might use a falsetto or practically whisper a female character’s lines. A bad female narrator might have all of her male characters sounding like mobsters or old grandpas. One of the best ways around this predicament is using multiple narrators. 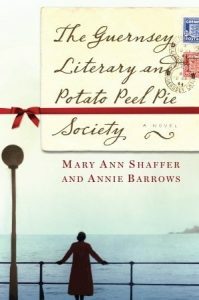 This brings the book to life even more, giving characters better developed personalities. 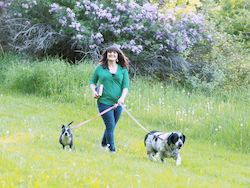 It also can make a story with multiple narrators easier to tack and of course, it often eliminates the need for a narrator to voice his/her opposite gender. I don’t know that I would have enjoyed this one nearly as much if I’d read the physical copy. The story is told entirely through a series of letter exchanged between various characters, so the different voices helped me keep straight who was who. The story of two teenaged boys with the same name, the different narrators feels big and necessary. The two Wills don’t know each other at the start of the story, then gradually each of their worlds become a little smaller as their lives overlap and they enter each others’ orbits. This young adult novel has a a compelling, moving storyline that makes it a greatly enjoyable listening experience. This is another one I wouldn’t have enjoyed as much without narration. It’s a lovely story about food combined with family history and relationships. 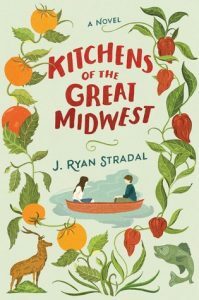 Each chapter is dedicated to a food dish and a character, capturing the culture of the midwest and the power of growing up in the same area your ancestors came from. Full disclosure, I haven’t finished this one yet, but so far it’s really fantastic. Part mystery thriller/part historical fiction, this novel follows Anna from age twelve through her life and relationships. With different narrators to represent the characters, it’s easy to follow when point of view changes and makes the story even richer than it already is. Now this one, I consider to be an “advanced” audio book. Listening to books in an acquired skill, so if you’re new to them, it may take you a while to follow this one. With 166 different voices, this is the largest audio book cast ever! During the time of Abraham Lincoln’s presidency, at the height of the Civil War, his 11 year old son Willie dies. 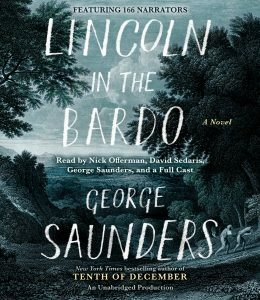 After the funeral, Lincoln cannot help but to visit his boy one last time in the dead of night, and so we hear the story from the points of view of the spirits who inhabit the graveyard.This historical fiction ghost story is truly unique on its own, then when you add the narration it really comes alive! Will Grayson has been on my list forever and I am now adding the Kitchens one too!! Unfortunately my library doesn’t have Will Grayson. 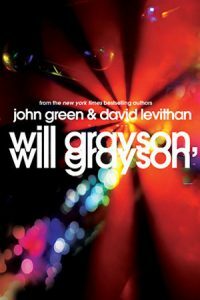 Will Grayson on audiobook (I really wanted to try that one) so I’ll probably read it. 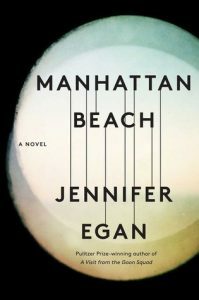 I’ll probably check out if Manhattan Beach is available though!